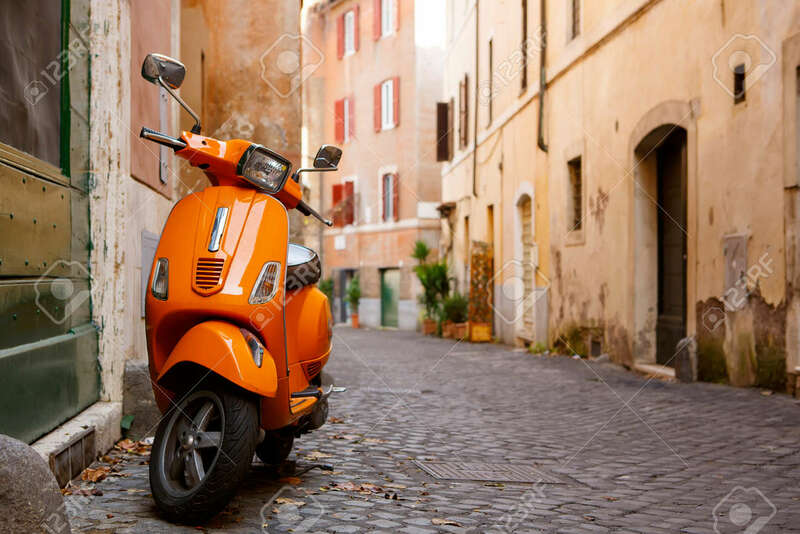 Old City Street With Motorbike In Rome, Italy. On Sunny Autumn Or Spring Day. Royalty Free Fotografie A Reklamní Fotografie. Image 51669671. Reklamní fotografie - Old city street with motorbike in Rome, Italy. On sunny autumn or spring day. Old city street with motorbike in Rome, Italy. On sunny autumn or spring day.